Matrimony, celibacy, monastery, seminary, Fraternity? 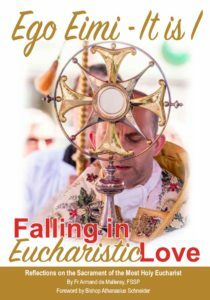 If you are a single Catholic man aged between 18 and 29 years of age, come and discern with us at St Mary’s Priory & Church, Smith St, Warrington WA1 2NS, England. Shrine Rector Fr de Malleray, FSSP will lead the Weekend, assisted by Fr Konrad Loewenstein, FSSP and Fr Ian Verrier, FSSP. There will be talks, prayers (Divine Office in our beautiful church), Holy Mass and informal chatting with fellow guests. Possibility of private meetings with a priest, and of confession. Feel welcome confidentially to call, email or write for any questions. Residential, at St Mary’s Priory: 2 nights and 2 days. FREE for unwaged and students. Others: £60 per person in total. Please share the information with your friends! BOOKINGS & CONTACT: [not via Facebook] malleray[at]fssp.org (read by Fr de Malleray only); 01925 635664 (Priory’s Landline). Videos of Warrington ordinations in 2018; in 2017. Pictures of Warrington ordinations in 2018; in 2017. We have currently six young men from England & Wales in formation at our two international seminaries. Three of our deacons from England were ordained priests at St Mary’s Warrington in the past two years by Archbishop McMahon, OP of Liverpool. Those were the first EF priestly ordinations by a diocesan bishop in England in fifty years. Please pray for Samuel and Miklos, our two UK vocations beginning their Second Year at our two seminaries. They have completed their First Year and were incorporated into our Fraternity on Saturday 20th October 2018. Please pray for John, from the South of England, who begun formation in Denton last September (2018). 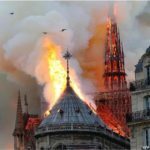 Please pray for them (www.fssp.org/en/help-us/confraternity-of-saint-peter/) and for many more to enter the lists! In total, 39 young men were admitted into our two seminaries this autumn. More applied but were not accepted. 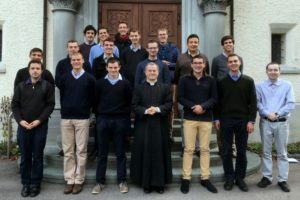 24 First Year seminarians entered Wigratzbad this month, our European seminary in Bavaria, including: 9 French, 4 Portuguese, 3 Canadians and 1 Colombian in the French-speaking Section; and 2 Germans, 1 Austrian, 1 Hungarian, 1 Icelander, 1 Pole and 1 Swiss in the German-speaking Section. There are presently 76 seminarians in Wigratzbad, of 19 nationalities. Our American seminary in Nebraska, Our Lady of Guadalupe, admitted 15 First Year seminarians, including 12 Americans, 2 Canadians and 1 English. In Years 6 to 7 at OLGS, in addition to many Americans and Canadians, we also have seminarians from New Zealand, 2 from India (Goa), 1 from The Phillipines, 1 from Singapore, some from Mexico and from Venezuela. Lastly, please pray for our more senior UK seminarians Gwilym, Emmanuel and Matthew. With Samuel, Miklos and John, we currently have 6 UK vocations in formation. We had 19 new priests ordained worldwide in 2018, and 18 ordained in 2017. We give thanks for 1 new priest from the UK ordained every year over the past 4 years, and more generally for 11 of them ordained over the past 16 years: Fr Konrad Loewenstein in 2002; Fr Brendan Gerard in 2006; Frs Matthew Goddard and William Barker in 2009; Fr Simon Harkins in 2010; Fr Matthew McCarthy in 2011; Fr Ian Verrier in 2015; Fr James Mawdsley in 2016; Frs Alex Stewart and Krzysztof Sanetra in 2017; Fr Seth Phipps last 9th June. Please pray for us. We assure you of our prayer.